Time for some colour in our lives. 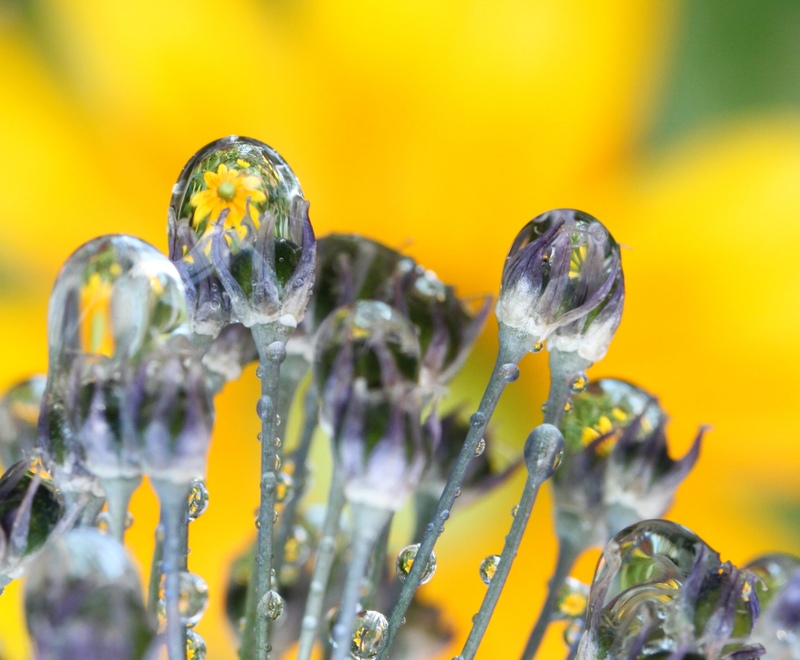 For this week’s post I have pulled out some of my water drop shots from summers past. 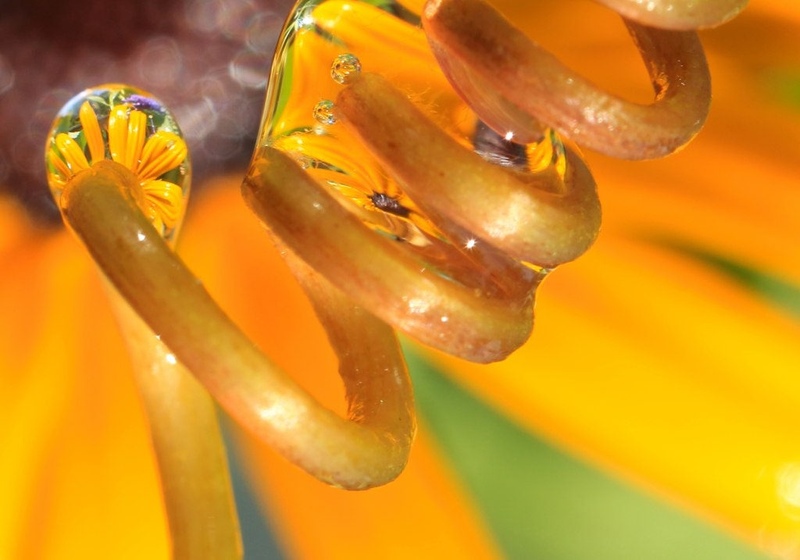 This first group of shots shows the image of a flower refracted through drops of water. I find making these images endlessly entertaining. 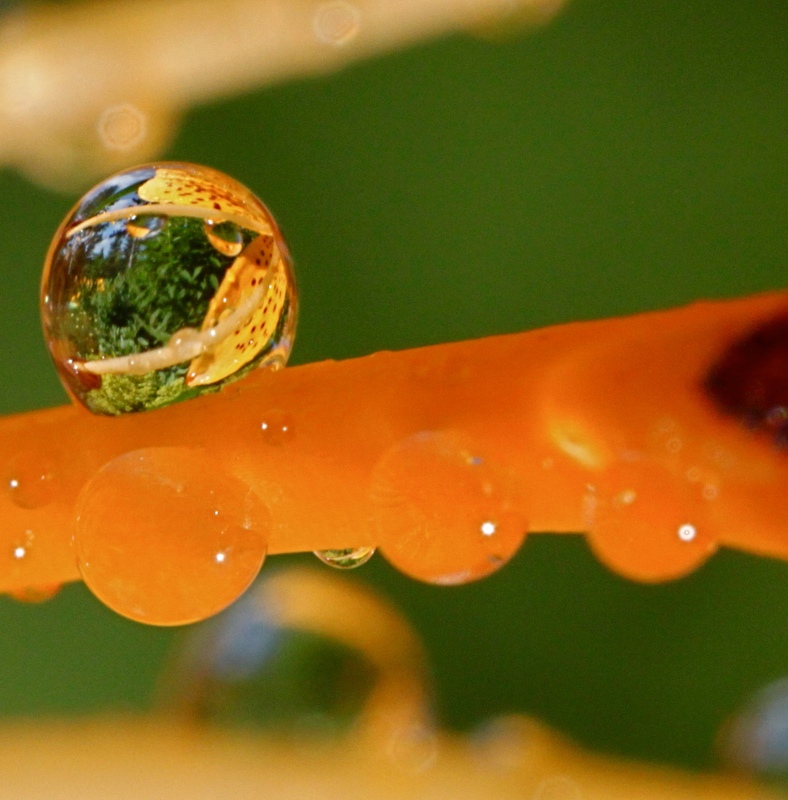 The little drops look like tiny planets. Doing this kind of macro photography requires a lot of setting up. I have to get the camera angle and light just right if I want to capture the flowers in the drops. The good thing is, none of these subjects fly away. And, I get to be in the sun. Where it’s warm. I think I remember what that’s like… For this one I was just messing around and photographed some droplets on fishing line. Fun! Sometimes the water distorts the flower’s shape altogether for a weird and wonderful effect. 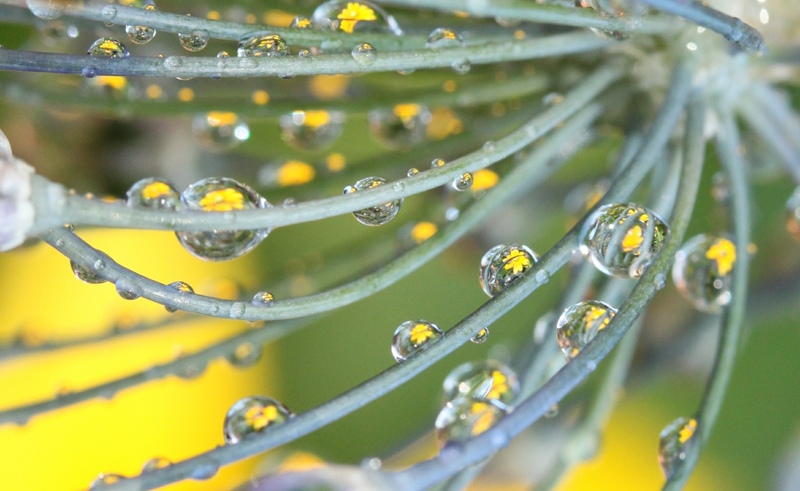 This next group of photos is all about the magic of morning dew. The tiny dew drops combined with the morning sun can make even the most common scene seem otherworldly. 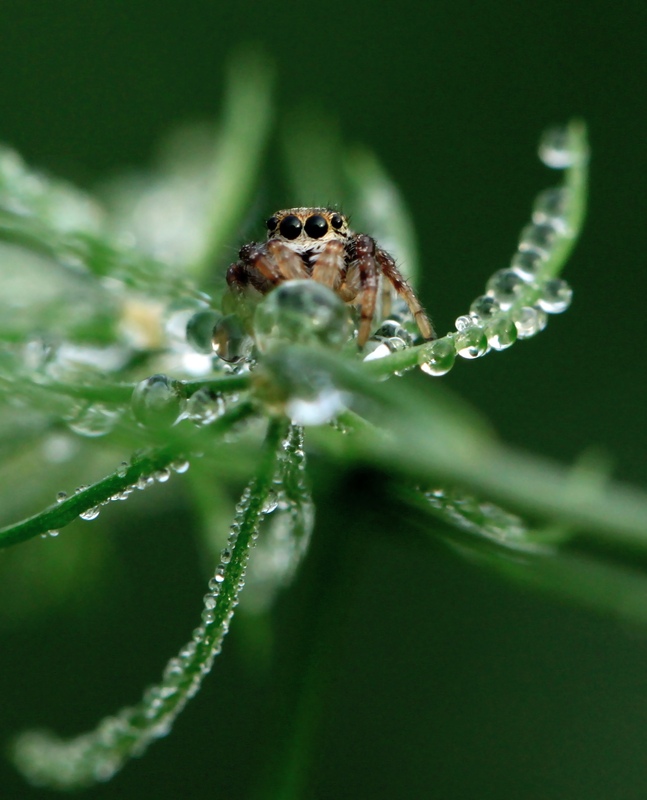 Imagine how small this jumping spider really is, in comparison to the dew drops. 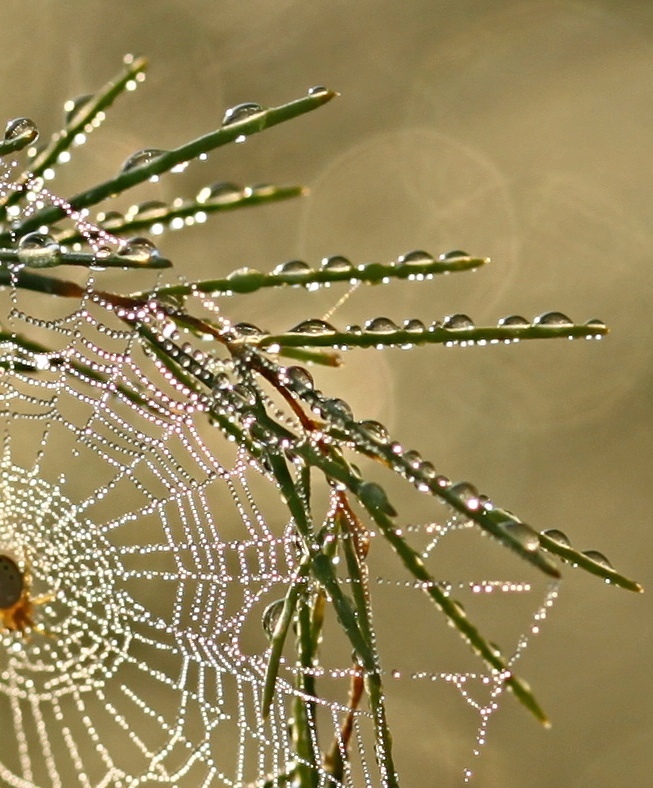 A spider’s artwork is enhanced further by the addition of thousands of dew drops. 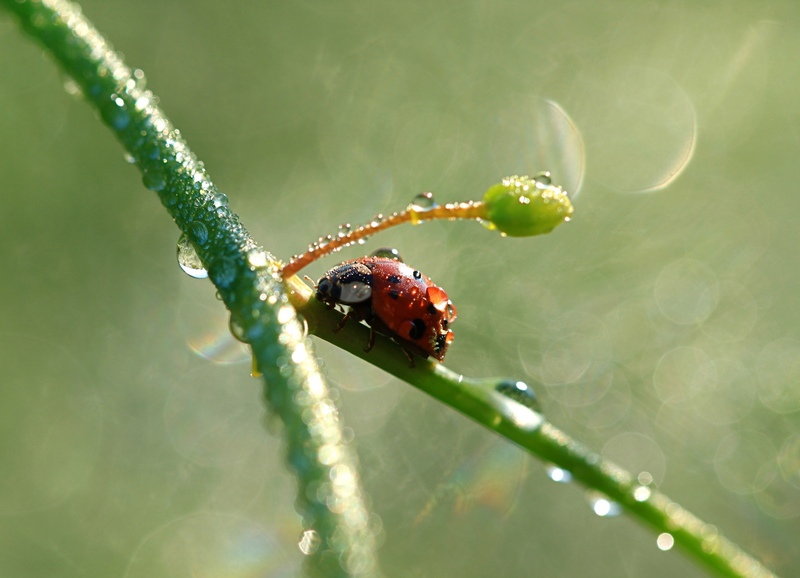 This ladybug is a superstar. This last shot was taken in my kitchen, using 2 common liquids and one human-made object. If you’d like to take a guess at the liquids and the object used, you can reply in the comments below. Hope you enjoyed this post as much as I enjoyed making it! My work is now available on Fine Art America! To see it, just click “Shop” on the main menu bar that lives at the top of each page. 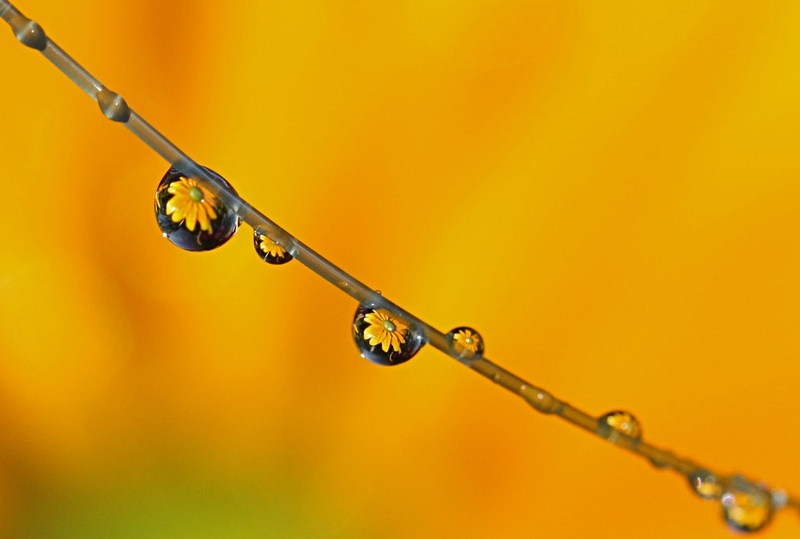 colour, dew, drop, drops, flower, macro, refraction, water. Bookmark. 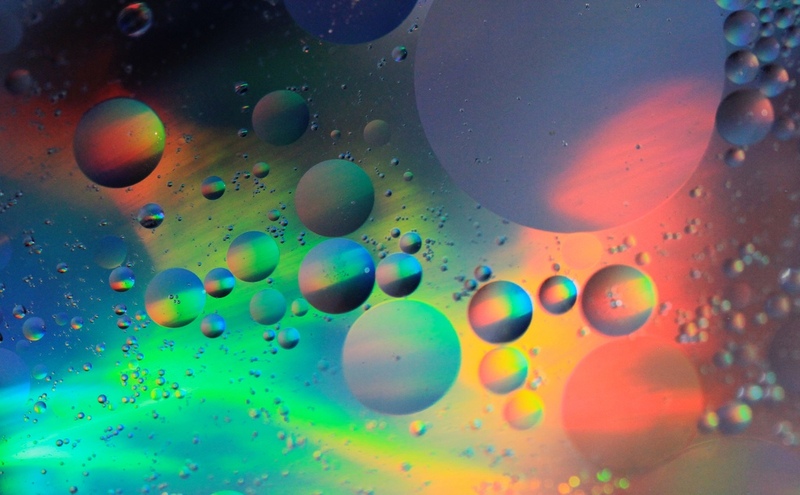 Sunlight dish detergent, water and a prism? Hi Amy- I should try that… Thanks for your guess. One out of 3 correct. I’ll post the answer next week. I love you. 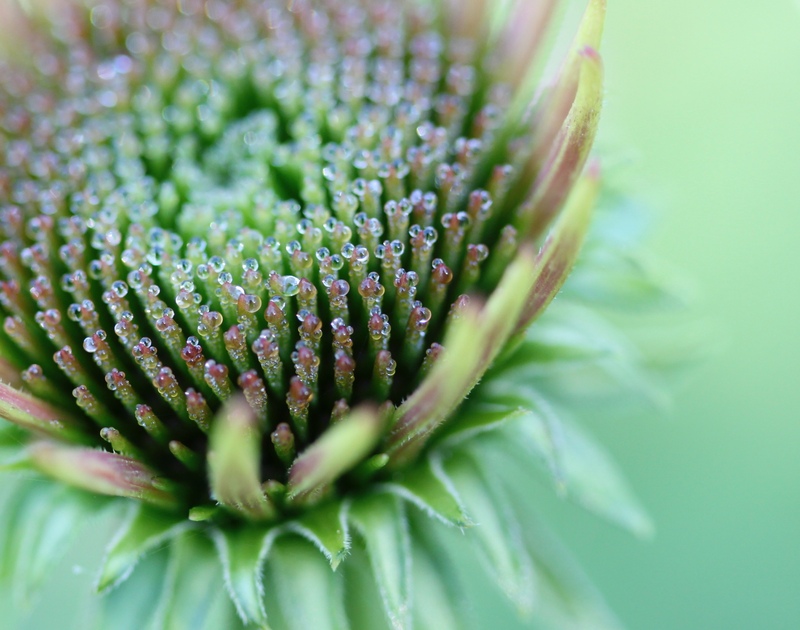 This is one of my favorite posts…it’s how beautiful the little things are. The flowers in the drops are my favorite! Thank you, Leslie your posts always lift my spirit and inspire me to take a closer look. Thanks Maria! We needed some colour I think. You will receive an email when new posts are added. Enter email in the box below, then click "subscribe"